Another two games from the SEGA Genesis (Mega Drive) classic games made it to the OnLive PlayPack. The games are ESWAT: City Under Siege and Flicky. This brings the PlayPack to 189 games and counting. 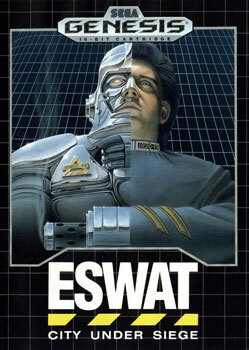 ESWAT: City Under Siege is a side scrolling platform video game classic published and developed by SEGA. You can play the free demo of ESWAT: City Under Siege for the US powered by OnLive. You can play the free demo of ESWAT: City Under Siege for the UK powered by OnLive. 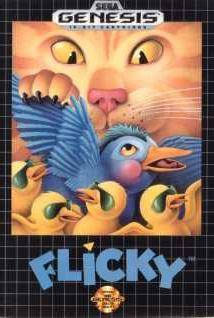 Flicky is a side scrolling platform arcade game classic published and developed by SEGA. As a heroic bird, find all of the missing Chirps and guide them to the "Exit" where they'll be safe from those mischievous felines and other ferocious domesticated animals in the house. You can play the free demo of Flicky for the US powered by OnLive. You can play the free demo of Flicky for the UK powered by OnLive.